Free Ebooks with Audio – Study Japanese with these online ebooks; a great way to learn Japanese vocabulary. Click to hear the story read by a native speaker. Many stories have PDFs to download and print out. Join our two TheJapanShop.com email lists for freebies, exclusive coupons, and the latest information. 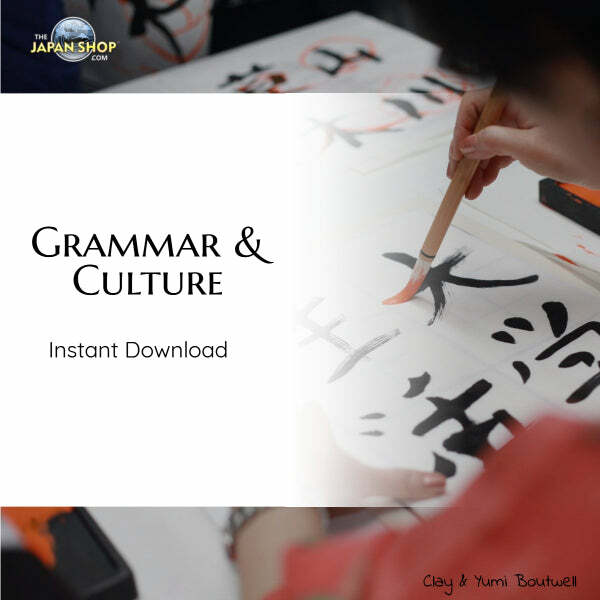 Get your copy of Kanji 100 (eBook) for FREE! Get your FREE email courses, or Be A Patron. Since 2000, The Japanese Page (TJP) has been a resource to help thousands of people learn Japanese for free online. We have articles and lessons for beginner, intermediate, and advanced students. Our goal is to provide quality lessons and materials (videos, podcasts, PDFs, articles) free of charge to help students improve their Japanese. This site is supported by the many customers of TheJapanShop.com and volunteers over the years. TJP App is available for iOS devices. Is this site helping your Japanese? Do you have a spare $1 to Support Clay on Patreon?